Scotland’s future path is uncertain at the moment, but one thing is certain: the United Kingdom is broken beyond repair. It was a welcome antidote to the political farce of this week to join a gathering of researchers at an event organised by the Intercultural Research Centre at Heriot-Watt University in Edinburgh on Wednesday. Together, and in many languages, we reflected on the challenges faced by Scotland in the light of recent political events in the European context, taking in questions of citizenship, migration, heritage, identity and belonging. A panel discussion reflected on the impact of Brexit on Scotland. The conversation swiftly moved from a consideration of the impact on our universities and institutions to the uncertainty and chaos that has affected our friends and colleagues, neighbourhoods and communities. We heard stories of anxiety over the fear of displacement and uncertainties about legal status. As one participant commented, the depth of care and emotional connection in the room was tangible – a stark contrast to mainstream media discourse where European Scots and other migrants are reduced to ‘bargaining chips’ instead of valued citizens with a right to be different and an equal right to belong. People, cultures and languages have always and are always moving and shifting, yet so many contemporary anxieties would seem to emerge from a need to see these as fixed. It would seem, then, that questions of culture are more important than ever. Whose stories are told, whose are foregrounded, whose are forgotten and who decides? This rings chillingly true in contemporary Britain of 2019. The frightening thing is that the toxic forces unleashed by Brexit won’t just go back in the box. Increasing xenophobia and racism, bitter scapegoating and the rise in hate crimes are societal problems that will likely take generations to mend. It is not just the UK that is broken. Our global economic system is also broken. The crisis of Brexit is a microcosm of widespread shifts both across the globe and within the very idea of the ‘nation state’ itself, with democracies vulnerable to and undermined by opaque networks of tax havenry, dark money and big data. In many ways, the rise of right-wing populism and the retreat into entrenched ethnicities can be read as a response to the shifting effects and flows of global capital. While globalisation has had its positive effects in terms of global communications and elevating great numbers out of poverty, it has also brought with it devastating social, political and ecological effects, leaving many people disempowered and perpetuating the coloniality of power. It is also the cause of climate breakdown and environmental destruction, which will in turn cause more mass migration of people as their countries and their homes become uninhabitable. This is our future. These challenges envelop and entangle us all, but at the same time are so vast it is impossible for us to grasp their complexities and full scale of their effects. One question raised this week was to question why the majority response to Brexit in Scotland has been so different to that south of the Border. With the nativist populism of the far right in the UK and elsewhere, is there any substance to an alleged cultural distinctiveness of Scotland from England? Despite its marginal position on the northern edges of Europe, it could be argued that one version of Scotland has always been more ‘European’ in terms of character, outlook and its claims to a shared heritage. This Scotland has Celtic connections through the Gàidhealtachd with Ireland, France and Galicia; Nordic connections across the Northern Isles, strong historical links with Poland and the Auld Alliance with France. Conversely, Great Britain has been far more concerned with Empire, triumphant superiority and its imperial ideology of conquest. Of course, there are multiple Scotlands and multiple Britains and multiple ideologies within these categories, and it is very difficult to untangle Scotland from its role in the UK’s colonial legacy. In many ways, Brexit has brought what was in the dark into the light, which may yet provide an opportunity to confront and process our difficult heritages and histories. When it comes to current government policy, there is a huge difference between Scotland and and England. An example of this is the SNP’s use of the term ‘New Scots,’ a deliberate move away from the use of ‘Scottish’ as an ethnic category and an attempt to integrate diverse communities into the idea of a welcoming, inclusive nation. Some may say that this narrative serves the government’s agenda of asserting political difference at a time of constitutional uncertainty. It is certainly a means to affirm a shared European outlook in contrast to the Euroscepticism and anglo-centrism of the UK government. The question is whether the policy in Scotland reflects and prefigures attitudes and realities on the ground. This narrative of an inclusive, welcoming Scotland is not without its cultural precedents. It draws heavily on an ideological heritage and what is known as the ‘egalitarian myth’ – perhaps most commonly expressed in the ubiquitous phrase ‘We’re All Jock Tamson’s Bairns.’ This myth has its roots in the notion of the ‘democratic intellect’ of Scottish education, which was distinct from England’s; and in continental political thought, particularly the ideals of the French Revolution, given poetic expression in the poetry of Robert Burns. It is present in the radical cultural politics of Hamish Henderson and his ‘Freedom Come All Ye,’ adopted by the counter-cultural protest Peace movement and the anti-Polaris campaign of the 1960s. The idea also lies behind the belief that the Scottish working classes have an instinct for radical international socialism and solidarity across borders, a story powerfully told in Felipe Bustos Sierra’s recent film ‘Nae Pasaran’. ‘Myth’ here does not refer to something which is manifestly false. Like heritage, myths draw selectively from the past, a process that involves selective inclusion and exclusion. In this case, the historical veracity of this myth is perhaps less interesting than the uses to which it has been put, both politically and creatively, drawing on an imaginary past and an an equally imagined future. These are the stories we tell ourselves about who we are and where we come from, are often more revealing of present than the past, and provide the grist and imagination for shaping powerful forces for change. While I welcome the SNP’s vision of an inclusive multicultural European nation as opposed to the horror show down south, there is still something about the ‘one Scotland’ narrative that makes me feel slightly uneasy. On reflection, this might be because my understanding of my identity as a European Scot is inherently plural and dynamic. As a student of Scottish literature, I admired the many writers who, rather than identifying a uniquely singular Scottish experience, expressed universal conditions through diverse Scottish realities and subjectivities. From Lewis Grassic Gibbon, Violet Jacob to George Mackay Brown, the diversity in the creative expression of the Scots language and all its rich dialectical variations is a creative form of resistance to the centralising powers of homogenisation. What do we risk losing in this project of forging one Scotland out of many Scotlands? Rather than folding the multicultural many into the one, can we find ways to hold and celebrate our many differences in intercultural dialogue? Scotland is at a crossroads. But in many ways, we are all always at the crossroads, always in the process of becoming. We must embrace our unfinishedness. To understand that we are always unfinished gives us hope that things can change. I am no fan of the EU and its neoliberal bureaucratic institutions, but I believe very much in in the idea of Europe. We must strengthen our connections with our European friends and neighbours, building networks of resilience to face the challenges of the future together. We cannot take for granted the kind of inclusive welcoming independent northern European Scotland we desire. We will have to work for it and build it together. There is much work to be done. Just about spot on with this article. We do have a significant number among us that are taken in by the tabloid xenophobia but, in the main, I believe the majority of Scots are sympathetic to the idea of an inclusive society. There are dangers and they must be faced up to. It is not helpful that we have areas which , to an extent, have become ghettos for New Scots communities. In those places there is less urgency in the amalgamation into wider society. The larger the numbers concentrated together the less need there is to mix and amalgamate. We must try to ensure that we endeavour to mix the children of these families with significant numbers of native scots in the classroom so that neither feel dominated or overwhelmed by the other. In the end we must avoid the perpetuation of separation as has been part of the problem in some areas of England. I agree with the points that you make Dougie. However, Mrs May’s ‘hostile’ environment has led to the development of an hateful environment that will require resources and enormous effort to overcome. In the end, Scotland may have to be independent in order to overcome the problem here. I cannot believe that the England that I found when I left Glasgow in 1966 has descended into this society riven with hate, xenophobia and intolerance. As I cannot see Scotland being able to impact the Westminster Parliament in order to push through the necessary change, then independence seems to be the only way ahead, with the caveats that you have indicated. You are right of course. There is no way that Scotland can stand against the tide of xenophobia if we remain within the UK. It should go without saying that we need to plot our own course which is clearly different from that of Westminster. They are trying, and failing, to pull up the drawbridge to exclude those from Europe and elsewhere while we desperately need the New Scots. Without them our economy would collapse; they are an integral part of the agricultural, hospitality, manufacturing and health care activities. Our indigenous population is aging and we are producing far too few babies so that the burden of taxation falls more heavily on the fewer workers. Did you see the report a few days ago where the number of babies born in Scotland in the last 3 months of 2018 was the lowest ever recorded since record keeping began in 1945. This is another factor of UK policy. The young are finding lowly paid and insecure work with little or no pension prospects; they cannot afford to start families. This is another policy an independent Scotland must reverse. The xenophobic genie is well out of the bottle in 2019 Great Britain. Stoked and supported by the Brexiteers and Westminster government with deliberately policies such as the Hostile Environment the hatred towards foreigners is palpable. White British supremacy is de rigour, and as we look over to New Zealand, we see only to clearly what this means. Did these poor innocent people deserve to die. Of course they did because that is what xenophobic policies lead to – and not really all that different from denying a 40 year Windrush British resident NHS cancer treatment because he’d been selected for the hostile treatment. The intention is the same. But if we have any doubts of where we are headed we only need look back at the horrors of 1930s Germany where a hostile environment ( to Jews ) grew into a holocaust. Welcome to the Britannic land for heroes. The stall is well and truly set. Let us hope however that we in Scotland can escape its terrifying pleasures to come. And while we are considering the deliberate government policy of the Hostile Environment, the Brexiteer hatred against immigrants and foreigners in general, together with Tory ministerial proclaimed pride of being able to deliver lethal force around the world, such sentiment always ends in tears for the countries expressing that sentiment. Germany was utterly devastated at the end of the Second World War, Japan equally so but with a couple of nuclear weapons on a couple of its cities. And in America inequality and colour have been the cornerstone of extensive race riots across that country. And Northern Ireland was a thirty year bundle of laughs where the Tories and their soul mates today would once again light the fire in a show of Britain’s power and gusto. Maybe they didn’t cry enough as Britain challenges a re-run. History and the current course tells us where we are headed and it isn’t consensual. A fine commentary Mairi, demonstrating a critical inter-cultural perspective (beyond mono-cultural and multi-cultural). There is indeed much work to be done. … and I sense that much of that work needs to be ‘inter-work’ – highly relational, intrinsically convivial. Might we contemplate an evolving independence outlook/inlook? Have we at least evolved beyond dependence and co-dependence? Can we further evolve beyond mere independence to embrace a transcending, while including, interdependence? Independence is located within interdependence. An interdependent identity would be an extraordinary inter-cultural project. Extraordinary times call for extraordinary endeavours. As you say, ‘we will have to work for it and build it together’. Here is one that didn’t get much mileage in MSM. Half of the ‘Voluntary Firefighters’ who initially tackled the devastating at the world-renowned bird observatory on Fair Isle are from other EU countries. Let it sink in and think about it. Why is Shetland missing from this map, two of everywhere & no Shetland!!! Sorry Wullie, what map? If it’s missing’AGAIN’ it doesn’t surprise me but they never move us somewhere warm, LOL. Seriously send me a link please. It’s not a map, it’s an illustration. Not everything has to be literal. I really have little sympathy with those that bemoan the moving of Northern Isles on maps but all maps are compromises. We use the Mercator projection on maps and think of it as “normal” but they produce huge changes in the sizes of places; Greenland is shown as much bigger and Africa is shown as much shorter than they “should ” be. If we always show the Northern Isles to scale with the rest of UK most of the map would be sea and the land too small to make out much else. In the real world Shetland really is far away from anywhere else and the first purpose of maps is not to illustrate this distance but to give a wider range of detail. It is sensible to put them in a box and perhaps provide a note on the sea beside them to tell the story. I’m a New Scot myself. I was born and brought up in England and have a Yorkshire accent. Not once since I have been here have I encountered any overt prejudice because of the way I speak. On the contrary; people in my town appear to treat everyone equally and with kindness and courtesy. They are the nicest folk you could ever wish to meet. The only place I find resentment is among supporters of independence, particularly those who take part in the comments section of The National. Many seem to think nothing of making offensive “they come up here, take our houses, enjoy our free prescriptions and vote in our referendums” comments which would, rightly, mark them as racists if aimed at immigrants from Ireland, Europe, Africa or Asia. Despite what Renton said in “Trainspotting” it’s much more shite being English than Scottish. It’s hard to think of a single country that doesn’t include natives who dislike the English, as if any of us is to blame for where we were born and raised any more than for our colour, gender or sexual orientation. It was always my intention, when coming to Scotland, to support & indeed to campaign for Scottish independence, and it still is, but I feel that there is a significant proportion of people on the same side of the argument as myself who will never accept me. As far as they are concerned I can only be a pseudo-Scot. I fail their ultra-nationalism test because I don’t share their prejudices and because I belong to the very demographic they despise more than any other. It’s a good job I’m pro-independence really, because if I had been undecided I’d only need to read The National’s transparent propaganda and some of its subscribers’ hate-speech once before I opted for the Unionist side, where at least I’d be less likely to be insulted on account of my background. If I believed in a God I’d be thanking Him/Her for Bella, frankly. Together with Common Weal it’s the only place I can read news and comment that doesn’t appear to be tainted by bigotry. I’d also be giving thanks for the geniality and open-mindedness of the average Scot-in-the-street, regardless of his/her opinion on independence. I am a new Scot. I moved to Highland Perthshire with my wife in June 2005. I was also a Tory as was my late wife. We both saw the error of our political beliefs early on and joined the SNP in June 2007. Neither my wife or I experienced any form of anti-English and have been fully accepted into Scottish society. In the 2011 census we both put Scottish down as our country. I have worked tirelessly for the SNP and independence for Scotland and hope to see it before I die (I shall be 74 in May). I have never met anyone in Scotland that made comments about my English accent except while canvassing the doors of anti-independence supporters. Because I now call myself Scottish and support independence I have very few friends left in England. Most of my “so-called” friends in England are brexiteers and some are extreme racsists. England always was a racsist country and the sooner Scotland gets it’s divorce from Britain the better. Mr Wickenden, please be proud of your Englishness because you have much to be proud of. Live happily in Scotland as a new Scot but, please, do not give up your heritage. I have some experience of Midlands and Northern English areas, and I know that there is less racism and more deep loss and a sense of disconnect than anything else. Yes, it appears to be racism because the EU migrants were the targets on the whole, but the politicians did not get on top of the numbers and the overwhelming of the infrastructure. Working class people, in my opinion, are less racist than their middle class counterparts, and what passes for racism – I’m not saying it doesn’t exist – is change at a speed that people cannot absorb comfortably. They were hi-jacked by the real racists and neo colonialists, who purely for personal gain, want to create a new Britain that can never exist except in their fetid imaginations. I have just one thing to say, Mr Connelly: when being PC outweighs truth, we are in deep doo-doo; when it is sacrificed to reality so that we might live in a fantasy which will harm us again unless we counter it, we deserve all we get. You are in denial about the 2014 indyref vote, and the part that the rUK NO vote played in it, and also in Brexit. That NO vote, mainly Scottish Unionist, incidentally, has brought my country, Scotland, to the edge of despair because it does not fit in with an Anglo-centric world view that should be dead and buried. I am not sure if you are the Mr Connelly who replied to my post in The National today, but please feel free to read my reply to you. To find you making similar allegations without a hint of truth, is beyond dismay. It might just stop you making similar cheap allegations about someone you do not know from Eve, and about whom you are totally wrong. Please don’t bother to reply. I am not interested. Your post bordered on defamation. Lorna won’t read this because she is not on speaking terms with me & I’m sure few people are interested in our personal spat but, to be clear in case anyone is wondering what she is referring to, she made a comment implying that she didn’t welcome English immigrants to Scotland, I replied implying that she is a racist and she was highly offended and gave me a telling off. I have apologised and removed the implied comment. Peace reigns. Nothing to see here. If I overreacted (and I’m prepared to agree that I did so) I hope my post above provides some context. Thanks very much, Kenny. I wish you all the very best too and hope we achieve a free Scotland while we are still young enough to enjoy it! Cheers, Bella, and thank you. Although born in northern England, I’ve lived in Scotland for Forty years . An old new Scot? YES!! Facebook Messenger is not one of the systems I use competently. Unintentionally, [fat finger problem?] it appears that I ‘waved’ to one of Rothesay’s Syrian Refugees. I wouldn’t attempt to do that again this afternoon if you offered me a substatial sum of money for success. Both the user I ‘waved ‘ to, and at least one other member of the community, prominently display the saltire on their facebook pages. If they have facebook contacts in England, I wonder what they make of that. To all of you, put a sock in it as we need incomers especially from the EU to help Scotland. Think about this for a moment, I’m sure that we were all shocked when the world-renowned bird observatory in Fair Isle went-up in flames. But what most of you will not have heard that half of the Islands fire-fighters who first tackled the blaze were from other EU countries and whose lives are in the balance thanks to May and her disastrous immigration policy as far as it affects settled EU citizens. There is also the case of a young EU lass who is about to qualify as a vet and hoped to remain in the Western Isles and her residency is in doubt due to her starting salary not meeting May’s £30K earnings bar. All this while we in rural Scotland are short of multi-talented vets i.e. not just specialising in small domestic pets. So please, please respect all. Scotland needs to be a welcoming, hopeful, and forward-looking positive place for all, whether Old Scot, New Scot, young or old. If it isn’t then the Young Scots will up and leave, as so many others have done before them. I think that it’s fair to say that most Scots don’t share the dreams and visions of the Westminster Conservative government. (With a dollop of UKIP and DUP too). Young, talented, educated, creative, Scots will leave the country to seek a better future, because they do not see a future for themselves in the UK as it is. I talk to such people frequently, in Canada. People like myself (a Scot, living in Canada) would return to contribute to a Scotland that had a future. Scotland is indeed at a crossroads. Thank you for the thought provoking, and insightful article. Delighted to read such a thoughtful and well-informed article. 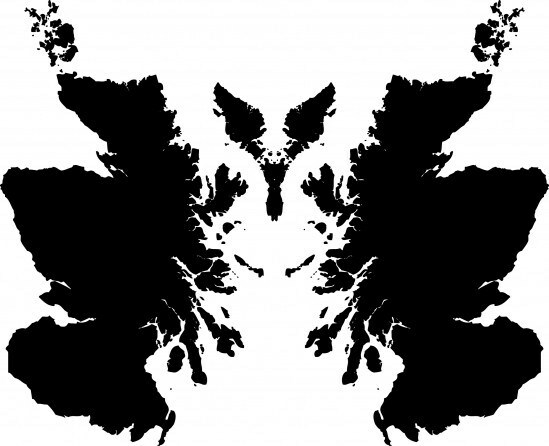 I have been reflecting on the so-called Caledonian Antisyzygy (conflicting personalities or tendencies within the Scottish identity), realising that this way of thinking about ourselves in such a fractured and plural way may help us realise that this reflects a more generally human tendency. This may be a useful term to help explain and understand the deepening polarities that are active in the global public sphere. It’s not so much what Scotland has in terms of European connections that makes us different, but rather, what it hasn’t got in terms of a narrow stultifying myth of imperial greatness and a sense of innate superiority that English identity is burdened with. England has many European connections too. Probably far more than Scotland. Last night I watched a programme about the Mary Rose skeletons. Turns out that several of the crew were of Italian, Spanish or North African heritage. Probably this was true in many ports in Tudor England where foreign or shipwrecked sailors settled. There is a liberal multi cultural England. People like Jo Maugham, Anthony Barnett, Paul Mason. The problem, for them, as for us, is that they are not in the saddle and never were or ever will be. Not conforming to a hobbled and archetypal “Scottishness” but celebrating every Scotland we have been, every Scotland we’ll become. Wonderfully well written article. Thank you to the author and Bella. My comment has been removed i must have said something wrong ,i thought maybe my thoughts as an eighty seven year old would give younger people a glimpse of how Scotland was from 1931to 1960 since the uk has changed quite dramatically & not always for the better but im now looking at it from life in the north of england & forgot to say i would gladly go back to Scotland given the chance i am amembrr of SNP & read the national every day, & i think a lot of Scots in England would vote for yes given the chance. I wish everyone good luck with indy2 be strong ,TM makes up her own rules-as she goes along i.e only one referendum for Scotland but try,try,try again to get her bad deal through!